Chamussy said Airbus, in forming the OneWeb Satellites joint venture getting ready to open an $85 million factory on Florida’s Space Coast, assembled a roster of aviation, automobile and munitions suppliers already well known to the larger Airbus Group. “Airbus is delivering three aircraft a day, so it means that [our suppliers] are used to deliver[ing],” he said. Chamussy said building the OneWeb satellites required a complete rethink of how to design a satellite with an emphasis on repeatability. “It has to be repeatable and repeatable in a manner that does not open any opportunity for mistake,” he said. One notable change between previous satellites and those Airbus is building with OneWeb is the use of a single onboard computer instead of three. Airbus designed the new single computer and outsourced it to a supplier that could build the finished product at scale, Chamussy said. 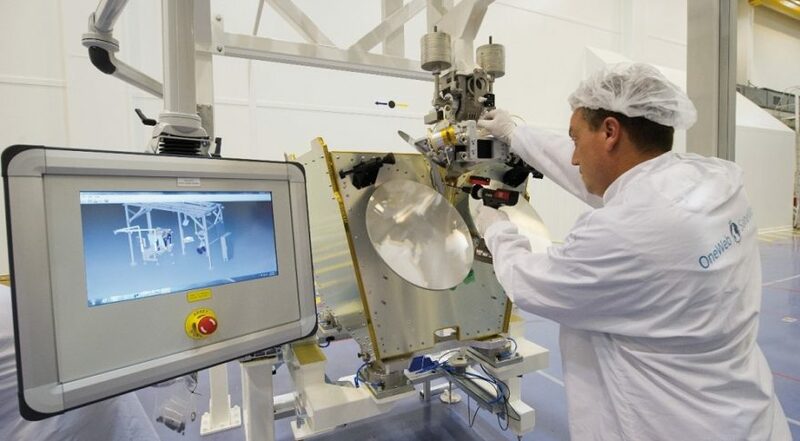 Despite the complexity of the OneWeb satellites, Chamussy said the most difficult part remained the same as for any other satellite: the software. Because of that complexity, Chamussy said Airbus chose to keep the software as its direct responsibility.